Visit Johnnette’s Blog to be informed, inspired, and encouraged in your daily walk with Our Lord. 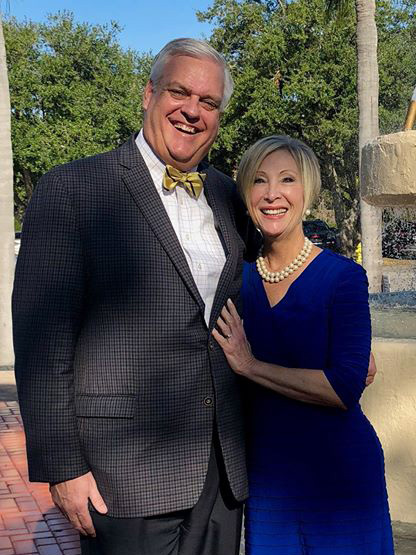 With candid and open-handed appeal, Johnnette shares her personal thoughts, prayers, insights and reflections regarding a variety of issues and spiritual topics. 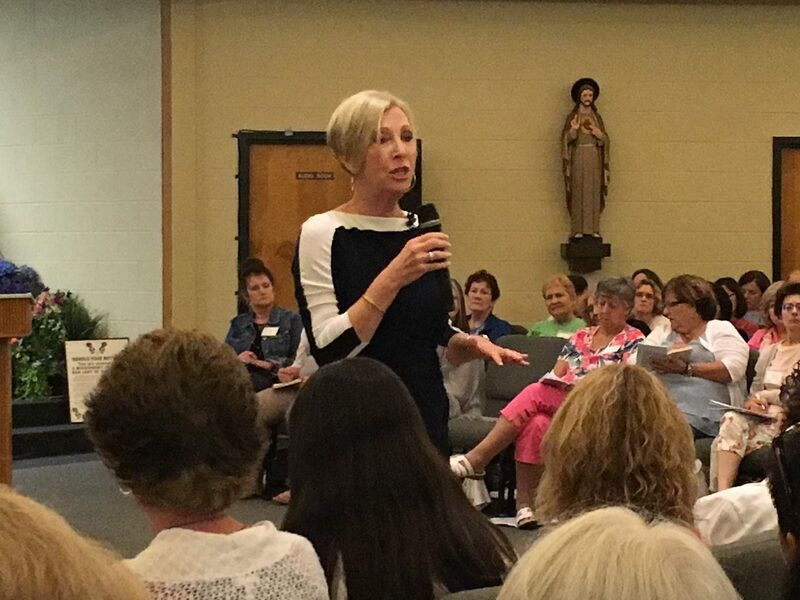 In addition, she offers you practical helps and tips for your everyday life, keeps you updated on what is new at Women of Grace, and gives you the inside scoop about conferences and retreats. Jack and I landed in Paris in the early morning today from Lourdes and drove into the city with our tour through 206 Tours. We visited Sacre Coeur and it was a graced experience. This Friday, Good Friday, we were to have visited the Cathedral of Notre Dame. I have never been to Notre Dame and like fellow Catholics from all over the world, I could not wait to experience her glory. Our visit will be tragically different now, like so many others who came here to see this magnificent witness to our Catholic Faith. But I know it will be no less poignant. 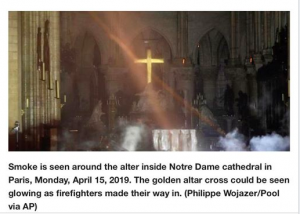 To experience Notre Dame on Good Friday — battered and bruised as she is — will easily remind us of the ultimate sacrifice of Jesus Our Savior, and the salvation He offers to each of us if we choose to accept Him. Just as the Crown of Thorns was spared from the inferno, so too does the passion, death, and Resurrection of Jesus Christ spare us from the furnace of flames known as Hell. In the end, Notre Dame is just a structure, albeit a stunning structure and sign in our fractured and broken world. And most likely she will be rebuilt. But, she is limited and can only reside in one city and in one country. 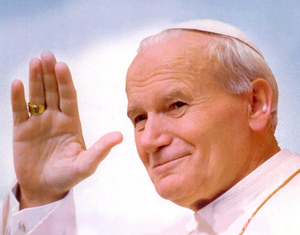 However, Our Lord’s promise of eternal life, breathed from the altar of Notre Dame for hundreds of years, is omnipresent, and can live in each one of us. And though the sorrowful reality of this loss cuts deeply, the miracle of Easter is alive in this earthly devastation, reminding us that all is made new in the Resurrection of Our Lord Jesus Christ. 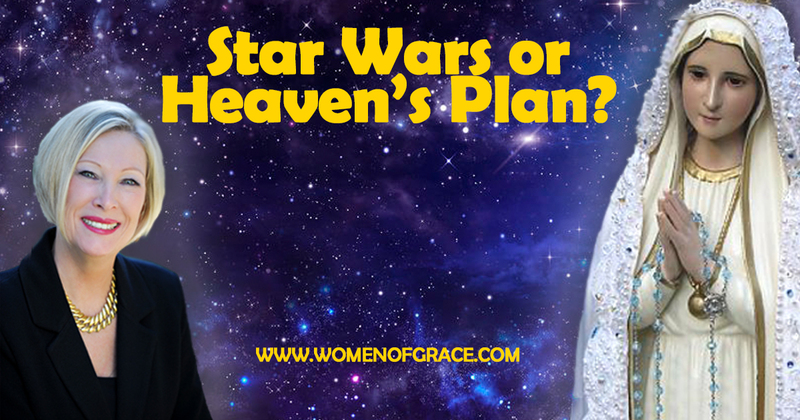 Star Wars or Heaven’s Plan? It is natural to express thanksgiving for being released from difficult trials and circumstances. But who would be grateful for those who cause such difficult trials or circumstances? 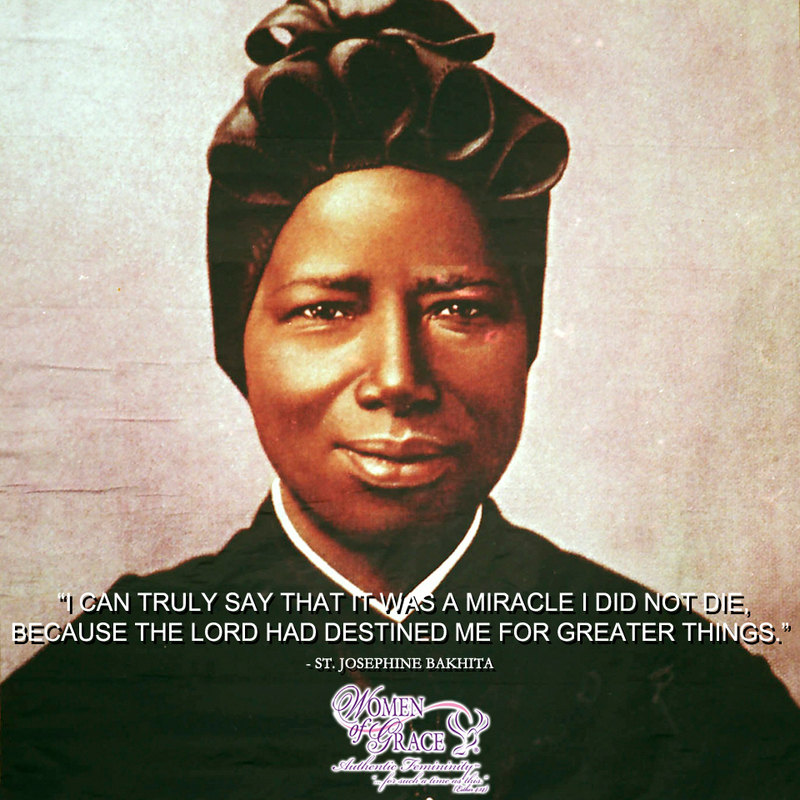 This is the stuff of saints — the very stuff of which Saint Josephine Bakhita was made. 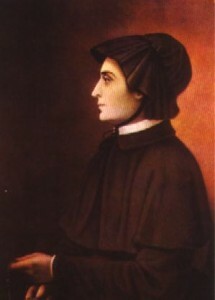 Born Elizabeth Ann Bayley in New York City, Mother Seton is a saint of firsts: first American-born saint, leader of the first Catholic girls’ school (and the first free Catholic school of any kind) in the United States, and foundress of the first American order of religious sisters — the Sisters of Charity. Elizabeth was born into a prominent Anglican family and was married in the Anglican Church. With her sister-in-law, Rebecca, she tended to the poor around New York, earning a reputation for her compassion and mercy. 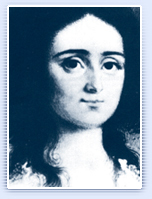 In 1803, she traveled to Italy with her ailing husband in the hope that the climate would aid his recovery. William Seton died in Italy later that year, but in her grief Elizabeth discovered a new love: the Catholic Church. She scandalized her Protestant family and friends by being received into the Church in New York City on Ash Wednesday, 1805. Finding N ew York no longer hospitable to her Catholic zeal, Elizabeth suffered through some trying years before finding a haven in Baltimore. I twas there that she channeled her passion for service into girls’ education. She also pursued her dream of religious life, fashioning a rudimentary habit in the style of nuns she had seen in Italy. 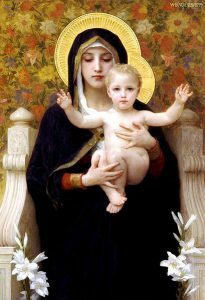 Other women were drawn to her, and in 1809 the Sisters of Charity was born, based on the example of St. Vincent de Paul. Mother Seton died in 1821 in Emmitsburgh, Maryland, where her school still sands. 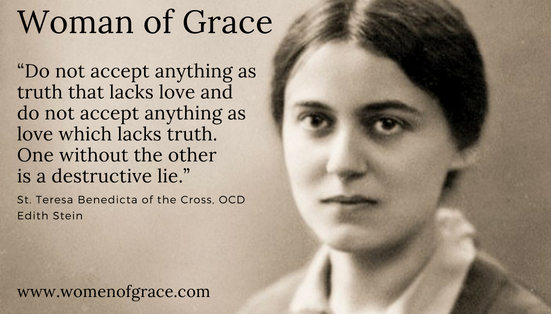 In her refusal to let the social pressures of her station restrain her witness to the Catholic Faith — in word and deed — she is a wonderful example for us in a secularizing world. This is an excerpt from Graceful Living. 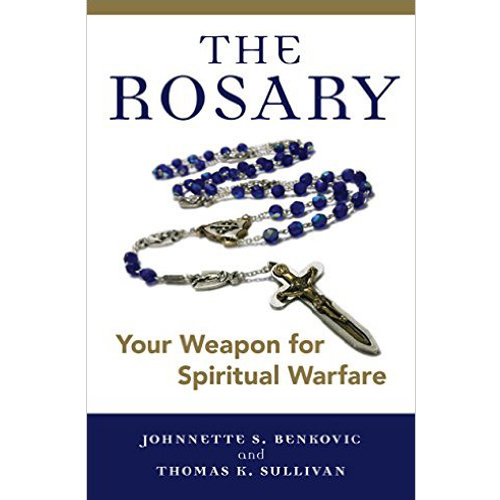 To purchase your copy, click here.